Long March 6, also known as Chang Zheng 6 (CZ-6), is a Chinese Expendable Launch Vehicle that is part of China’s next generation of orbital launch systems, operated alongside the new Long March 5 and 7 rockets as well as the existing Long March fleet, CZ-2/3/4. 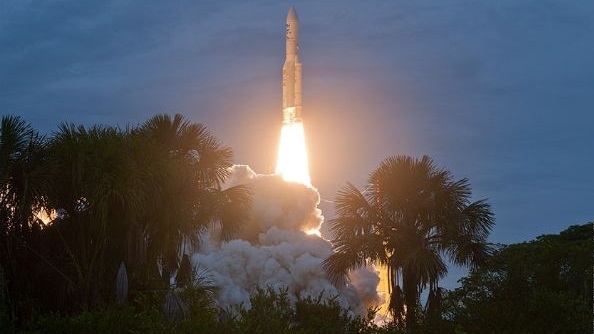 The new series of CZ-5/6/7 rockets facilitate a major change in rocket technology switching from mostly hypergolic-fueled launchers to Kerosene/LOX propellants. Long March 6 fills the light-lift spot in China’s new launch vehicle fleet, operating alongside the medium-lift Long March 7 and the heavy-weight Long March 5. The new launchers use modular systems and common components across the different rockets as a cost-saving measure and to quickly build up flight heritage. 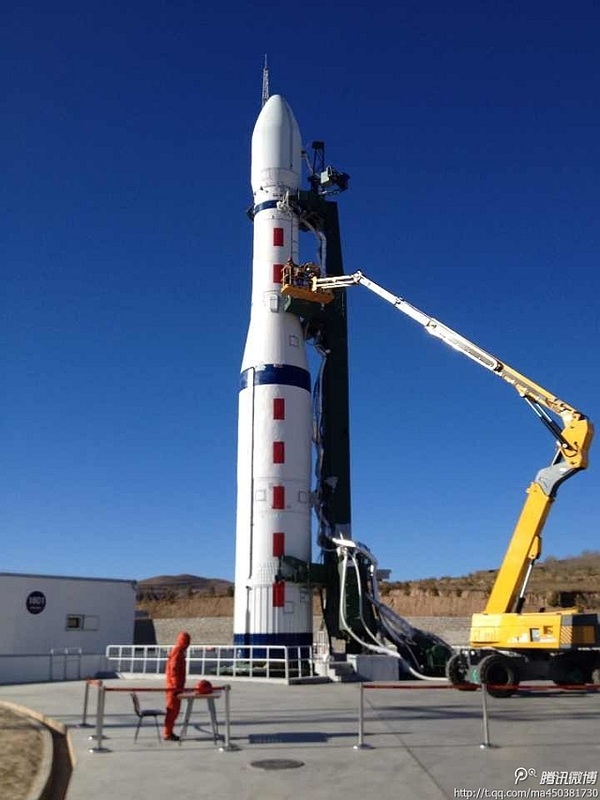 The Long March 6 rocket was developed by the Shanghai Academy of Space Technology in cooperation with the China Academy of Space Technology that will be in charge of the production of the launcher. The overall goal of CZ-6 was to create a launcher for use in Low Earth and Sun Synchronous Missions with a total payload capacity to SSO on the order of 1,000 Kilograms. Different versions of the CZ-6 launcher were evaluated ranging from a two-stage design with a 2.25-meter first stage diameter to a three-stage version with a 3.35-meter diameter first stage as a more powerful design. In the end, CZ-6 was conceptualized as a three-stage launcher using the larger, 3.35-meter diameter first stage that is based on the booster design of the Long March 5 to increase the commonality between the different launchers. Long March 6 stands 29.24 meters tall with a dry mass of 9,020 Kilograms and a launch weight of 103,217 Kilograms giving it a payload capability into a 700-Kilometer SSO of around 1,080 Kilograms. The vehicle is a three-stage launcher with the upper stage being a Trim-Stage using low-thrust engines for precise orbital insertion capability. CZ-6 will be operated from the Taiyuan Satellite Launch Center and China’s newest launch base, the Wenchang Satellite Launch Center. The first stage of the Long March 6 rocket is based on the larger booster design of the Long March 5 rocket using a 3.35-meter diameter. It is approximately 15 meters long and holds 76 metric tons of propellants, Liquid Oxygen and rocket-grade Kerosene that are stored in two tanks with separate bulkheads. As opposed to the CZ-5 boosters, the first stage of the Long March 6 rocket is modified to only host a single YF-100 main engine. Development of the YF-100 engine started in the early 2000 under direction by the China National Space Administration. 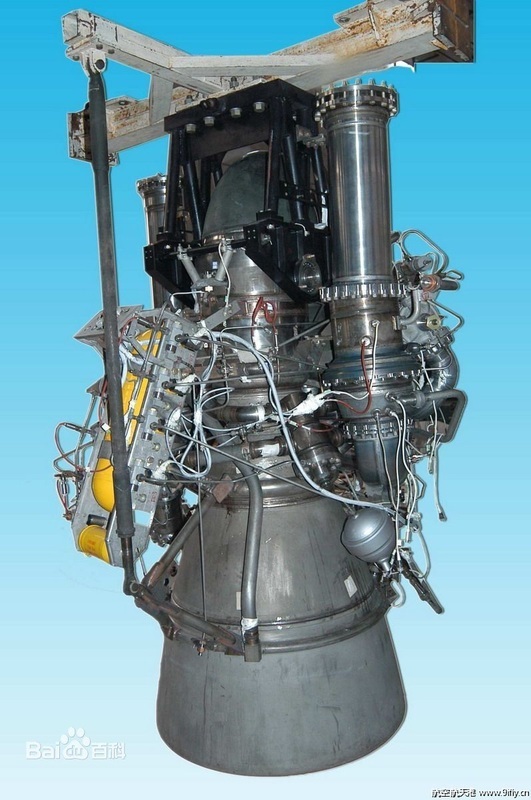 The YF-100 engine entered its testing program in 2005 which was completed by the end of 2007 with official acceptance testing complete by May 2012 – clearing the engine for use aboard China’s future launch vehicles. YF-100 is a high-pressure staged combustion engine that uses an oxygen-rich preburner that generates hot, high-pressure gas by burning a portion of the fuel inflow in an oxygen-rich environment to drive the turbine of the oxidizer and fuel turbopumps that use a single shaft and deliver the propellants to the combustion chamber of the engine. The YF-100 engine operates at a chamber pressure of 180 bar to generate a sea level thrust of 1,180 Kilonewtons (120,300 Kilogram force) that rises to 1,340kN in the rarefied upper atmosphere (136,650kgf) corresponding to specific impulses of 300 and 335 seconds, respectively. The engine can be throttled down to 65% of rated performance to allow the vehicle to fly complex mission profiles. YF-100 is available in a one-axis and two-axis gimbaled version. CZ-6 uses two-axis gimabling for pitch and yaw control while roll control is accomplished with four Roll Control Thrusters each delivering a thrust of 1,000 Newtons (102kgf) burning a mixture of Kerosene and Hydrogen Peroxide. 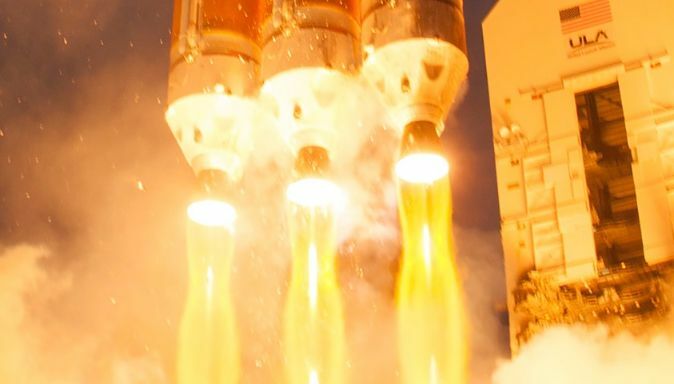 The first stage operates for approximately three minutes and uses a pyrotechnic separation system that disconnects the two stages in the interstage area that remains attached to the first stage to expose the engine compartment of the second stage. The interstage adapter is about 3.7 meters long and reduces in diameter from 3.35 to 2.25 meters. The second stage of the Long March 6 rocket shares commonality with the smaller of the second stages used on Long March 5. It is 2.25 meters in diameter and 7.3 meters in length carrying 15,150 Kilograms of Kerosene fuel and Liquid Oxygen oxidizer. The propellants are stored in aluminum alloy tanks that use separate bulkheads- Heated helium gas is used for tank pressurization. A single YF-115 engine powers the second stage delivering a thrust of 175 Kilonewtons (17,850 Kilogram-force) at a specific impulse of 336 seconds. Two-axis thrust vector control provides pitch and yaw control during burns with roll control accomplished by four 25-Newton thrusters in a setup similar to the first stage, using Kerosene and Hydrogen Peroxide propellants. The YF-115 engine provides re-ignition capability to allow Long March 6 to target a variety of orbits. During coast phases, the vehicle’s attitude is controlled by the thruster system of the third stage. The third stage of the CZ-6 launcher is a type of Trim Stage or Vernier Module that hosts a main propulsion system, attitude control thrusters, batteries and flight control and navigation equipment to perform multi-burn missions over the course of an operational life of several hours. The Trim Stage is powered by four thrusters, each delivering 1,000 Newtons of thrust using Kerosene and Hydrogen Peroxide propellants for a total thrust of 4 Kilonewtons (408 Kilogram force). The thrusters provide re-ignition capability, allowing the vehicle to target a variety of orbits with precise insertion capabilities. 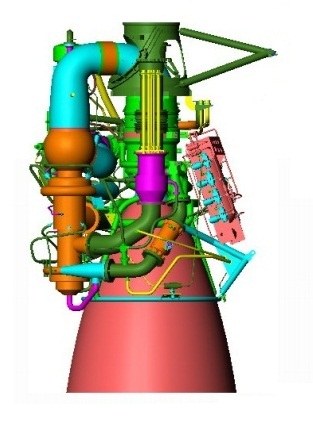 Attitude control on the third stage is provided by eight 100-Newton thrusters. Long March 6 supports two different fairing designs, one 2.25 meters in diameter and the other 2.6 meters in diameter with an approximate length of 5.7 meters. The fairing covers the Trim Stage, the payload adapter and the payload stack.